She attended St. Wendelin's School and Mount Alvernia Academy graduating in 1942. She also graduated from Miami Jacobs Business College in Dayton, Ohio and began working for Air Services Command, Patterson Field in Fairfield, Ohio. In 1945 she was transferred to Deshon General Hospital in Butler, she worked there until 1947. From 1969 until 1986 she worked for the Butler County Assistance Office as a caseworker. She was a member of St. Wendelin Roman Catholic Church, where she served as Eucharistic Minister. 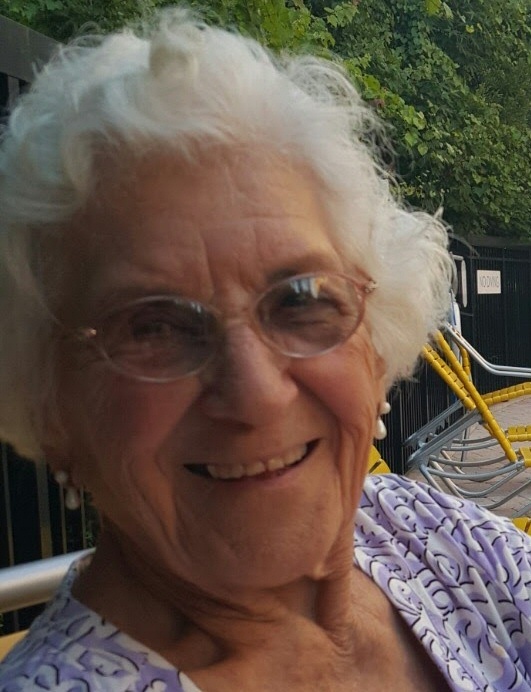 She was a 50+ member of the Butler Moose Chapter #260 and has served the State of PA as Deputy Grand Regent and served on the International Board of Academy of Friendship. She also served as Regent of the Catholic Daughters of America Butler Court #443 for 3 terms, also serving as a President of Butler County Deanery Council of Catholic Women. She had been a volunteer for the Butler Hospital Auxiliary and the Butler Veteran's Hospital. She enjoyed crocheting, knitting, bowling, golfing, playing cards and bingo. Friends will be received at the Geibel Funeral Home, 201 East Cunningham Street, Butler, from 4:00 p.m. until 8:00 p.m. Friday. A Mass of Christian Burial will be celebrated on Saturday, at 11:00 a.m. at St. Wendelin Roman Catholic Church. The Rev. Matt McClain, will officiate. Interment will follow in St. Wendelin's Cemetery.